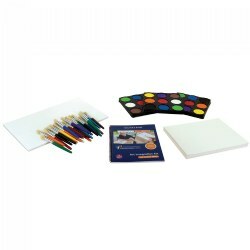 For other art projects, Kaplan provides dye, art kits, splash art, mosaics, window art, tote bags, and more. 3 years & up. 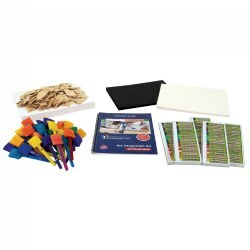 Create impressions and textures using this set of tools with paint or clay/dough. 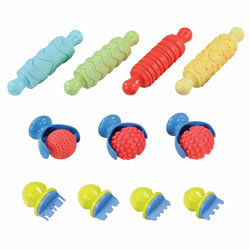 The durable tools are made from hard rubber and easily clean up with soap and water. 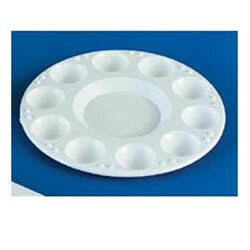 7 inch round paint palette. 10 paint wells to hold your colors in while you paint. 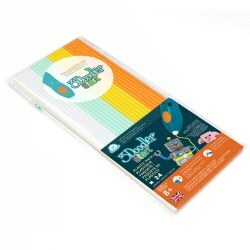 Protect tables and work surfaces with this set of 5 transparent mats. 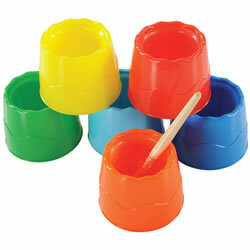 Ideal for craft activities from gluing and painting to any clay or modeling dough projects. Mats are waterproof, stain resistant and washable. Marked with 2 cm squares for measuring. Set includes one of each: blue, clear, green, yellow and pink. 19 11/16"L x 14 5/16"W.
3 years & up. 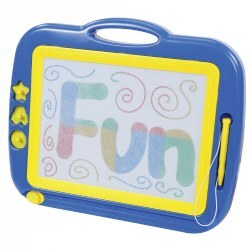 Perfect for writing practice, drawing fun or just doodling, this Color Doodle features a jumbo writing surface, a sliding eraser for clearing the magnetic board, stampers in three different shapes, and a stylus for drawing and writing. The easy-to-carry Color Doodle saves paper and reveals a colorful surprise as you doodle across the surface. The drawing surface measures 11 3/4" x 8 3/4". Color of frame may vary. 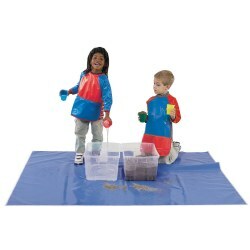 Extra large reversible mats to contain mess and ease clean up. Use on a table to protect surfaces or on the floor to contain spills and mess. Set of 6 clear plastic art bins store bulk art materials for easy access. Contents not included. 3 years & up. 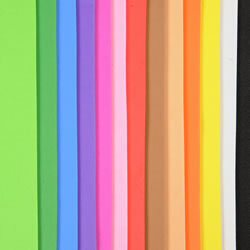 Easy-to-cut, foam sheets for use in a variety of craft projects. 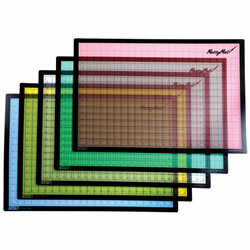 Sheets measure: 5 1/2" x 8 1/2" Assorted colors. 40 sheets. 3 years & up. 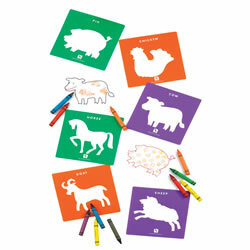 Life's creatures both big and small make up this set of 24 durable plastic stencils. Includes 6 bugs and 18 animals from the farm, sea and jungle. The bug stencils measure 6 1/4" x 5 1/8" and animal stencils measure 8" square. Crayons not included. 3" deep water well with built in brush holder. 4 1/2" wide base to prevent tipping. 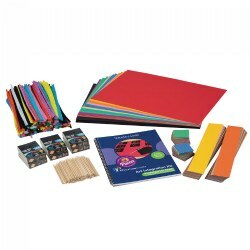 Set of 6 assorted colors. 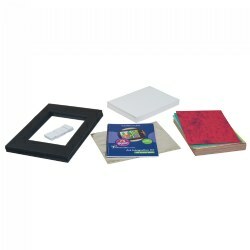 Set contains 6 sheets total of 3" square sandpaper. 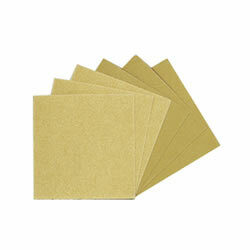 There are 3 sheets of 120 grit sandpaper and 3 sheets of 180 grit sandpaper. 3 years & up. Reveal a simple shape with interesting interior pattern by scribbling over each design. The tactile tracing paths around each perimeter allow visually impaired students to feel each shape. 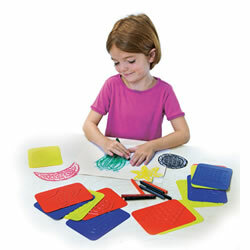 16 plates are perfect for exploring shapes and patterns through touch. 4" x 5 1/4". Teacher guide included. 3 years & up. 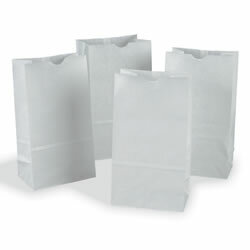 These white bags are great for all kinds of crafts! You could use them for puppets, gift bags, prizes, snacks, and many other projects. 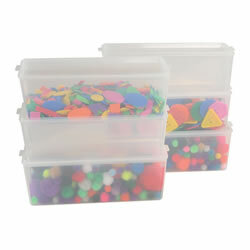 Approximately 11"H x 6"W x 3"D. Set of 100. Made in the USA. 3 years & up. 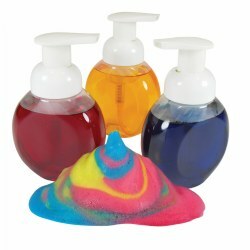 Pump up some fun foam paint with these special foam paint bottles by using simple ingredients, such as dish soap, glycerin, liquid water color and water. Includes a teacher's guide with project ideas, lesson plans, and recipes. Ingredients not included. 6 years & up. Add more colors to your 3D printed creation! 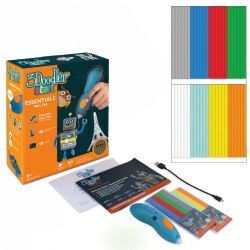 The 3Doodler Eco-Plastic Fire & Ice set features 24 strands in white, mint, yellow, and orange. For every inch of plastic the 3Doodler creates 10 inches of Doodle. Each straight-cut strand measures 6 inches. Only compatible with 3Doodler Start. 3Doodler Starter Pen sold separately. Includes: 24 Plastic Strands. 6 years & up. Add more colors to your 3D printed creation! 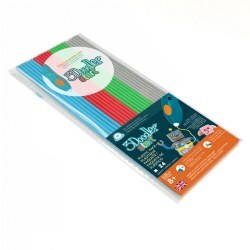 The 3Doodler Eco-Plastic Primary Pow set features 24 strands in gray, blue, red, and green. For every inch of plastic the 3Doodler creates 10 inches of Doodle. Each straight-cut strand measures 6 inches. Only compatible with 3Doodler Start. 3Doodler Starter Pen sold separately. 3 years & up. An essential addition to any craft closet! 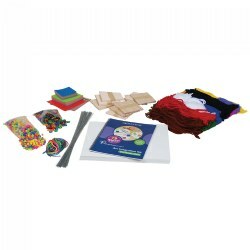 Make puppets, gift bags, masks, hats, luminaries, and much more with this colorful set of paper bags. 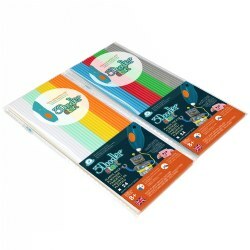 These bags are made from high quality, bright-colored, uncoated Kraft paper. 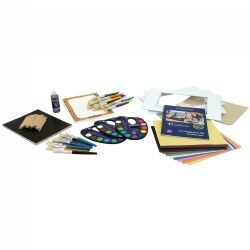 Use any type of media such as pens, paints, rubber stamps, and crayons to create superior art projects for any occasion. 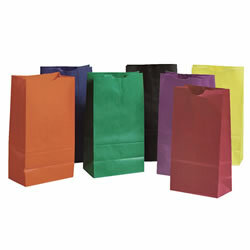 This set of 28 bright colored bags measure 6" x 11" and are recyclable. Made in the USA.